"In our industry and specific business, we utilize a variety of squeegees and tools to professionally install vehicle graphics, wraps, and general signage. 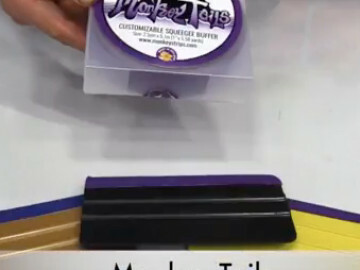 The Monkey Tails Customizable Squeegee Buffer Strips is a great add-on to our existing line of squeegees and tools to smoothly apply vinyl without harming the laminated graphics. Since it’s a wide strip of felt with a good adhesive, it can be adhered to a variety of tools, not just squeegees. The ability to increase the lifespan of squeegees as well as use on other tools is great. I think it will make a good, solid addition to our installers tool kits."